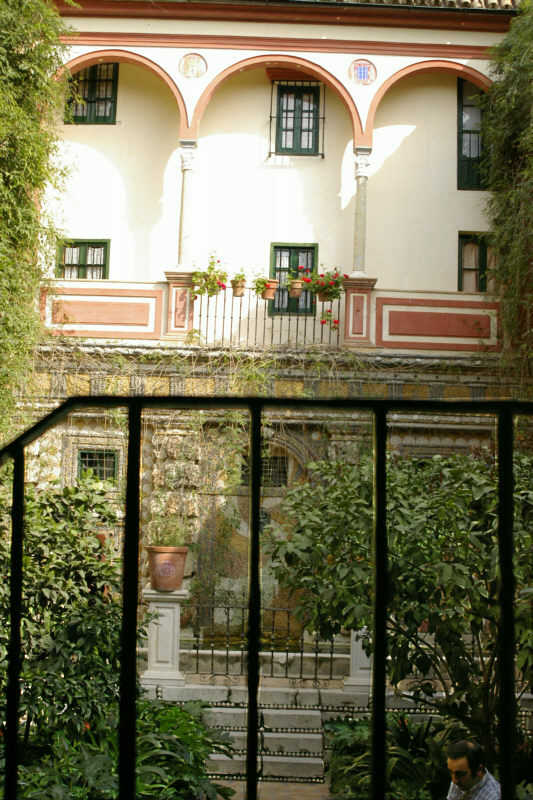 After the Paso de San Bernardo went by in last year's Semana Santa, we hurried thru the barrio, sort of in the direction of daughter's house, and I remembered looking through a grille and seeing a wonderful courtyard garden. So this year, we plunged back into the depths of the barrio again and, by luck, went straight to the place. Looking at it at length this time, it now seems to be courtyard for a hotel, or a short-term residence. Still very nice and worth a photo. Field Notes: Thursday, February 19, 2004.